Gentle Chiropractic is not just a name — it is a serious way to relieve pain without the bone wrenching cracks and pops. Doc McCullen is a "Grandma" Chiropractor with over 30 years experience treating patients of all ages, as well as pregnant women, babies and children with techniques as well as for nutritional deficiencies. She knows how to best treat your family in a caring and gentle manner. dimension within chiropractic! My pregnancy would have been miserable without her care. visit very soon!" —Marleny A. The level of personal care you can expect from Doc McCullen is almost unheard of today. How long has it been since your Doctor called you after you left their office to see how you were doing? Has it ever happened? This level of care and service disappeared with the local doctor who was both friend and confidante. Well it's back with Doc McCullen... Come and experience the Gentle Chiropractic difference! back. it makes standing, sitting or even lying down almost unbearable. into the separation." Ouch!, I thought. condition and was kind to my baby. Thank you, Kia! —Jeanette G.
Doc McCullen has put together a comprehensive and in-depth Nutritional Analysis for all ages based on her 30+ years of treating bodies of all sizes and ages. She knows and understands that proper nutrition plays a vital role in the full development of infants and children enabling them to lead healthy lives by building strong bodies and supporting their immune systems. Truthfully, it is critical that bodies at all ages are provided with the proper nutrition as well needed supplementation to ensure one maintain's their quality of life through all it's various stages. "What I provide is Gentle Solutions that truly enhance the development of your child's little body and it’s healthy future growth. Children are our future. We want them as happy and healthy as possible! I have the answers and simple cost effective solutions for your children’s well being as well as your own! Why not give me a try?" This nutritional analysis starts with an in-depth questionnaire, in the comfort of your own home, giving the Doc information on specific health concerns you (or your child) may have and how they are affecting your life and well-being (or your child's if a parent is doing it for them). This information gives her a picture of what is going on with your child's or your own body. The answers are then charted on a graph to use in the evaluation. Doc McCullen then goes over your answers to each of the questions and correlates those results with that of the graph and puts together a whole food nutritional and wellness program based on her extensive education and prioritized for your child's or your individual needs. This service is only available here at an incredible introductory price. If you are local to the Tampa Bay area, you can contact us directly. If you live outside the Tampa Bay area and are ready to take control of your health: Click here to contact us now about our Nutritional Analysis! Do you know what is in the food you eat? Most people are eating foods that have been stripped of all of the vital nutrients their bodies need. 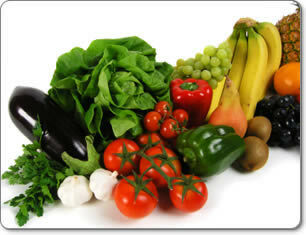 In addition, most individuals do not consume enough fresh fruits and vegetables. And most of us get our grains from instant rice, white breads, cereals and pastas. These are not the whole grains that our parents were brought up on. Have you looked recently at what is in the prepackaged, pre-made meals that the bulk of us live on? We as a nation are overfed and undernourished - and we're starving as a result. The foods we eat are not providing our bodies with the nutrition it needs and as a result so many of us are sick with diseases caused by this malnutrition. The human body, unfortunately, didn't come with an owner's manual. Bodies are fabulous - they have an uncanny ability to heal themself. But it takes the right nutrients. That's why the only thing you'll get from Doc McCullen are whole food supplements that supply bodies with all the nutrients we are missing from our diet. Only the highest quality of whole food supplements will provide you and your family with all of the vitamins, minerals, trace minerals and phytonutrients in the form that the body can assimilate and use. There is just nothing better than the supplements recommended by Doc McCullen. The body has an amazing ability to heal itself! One can have an excellent quality of life if the body and immune system is strong. By giving the body proper care and proper nutrition it can heal itself of anything — anything! That is why Gentle Chiropractic is here. 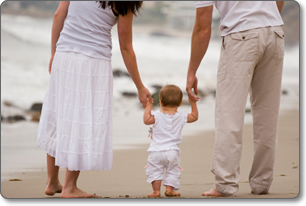 Put Doc McCullen's 30+ years of knowledge and experience to work for you and your family's health care needs. There's no better time than the present to create a lifestyle that ensures health, longevity and fitness! So give the Doc a try - you've got nothing to lose and everything to gain! ﻿Click here to sign up for a Personal Nutritional Analysis﻿!